Robert Webster kreeg Gouden Palm voor 'Memories of Warsaw' . Gouden Palm voor "Memories of Warsaw" van de Nederlandse kunstenaar Robert Webster tijdens het Arte Non Stop Film Festival/ BA 2016 in Buenos Aires, Argentinie. BUENOS AIRES, Argentinië, 20161029 -- De jury van het Arte Non Stop Film Festival in Buenos Aires heeft recentelijk Robert Webster een Gouden Palm gegeven voor zijn film "Memories of Warsaw". 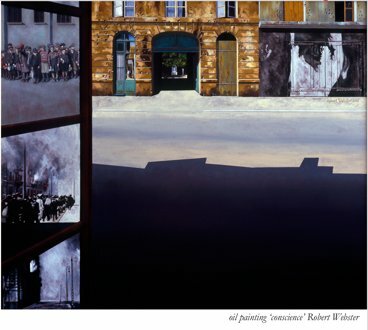 Tekst van de DVD inlay van de film: "The Dutch painter Robert Webster graduated in 1967 from the Rietveld Academy in Amsterdam. Through a cultural exchange agreement he then studied from December 1967 till October 1969 at the Academy of Fine Arts in Warsaw. 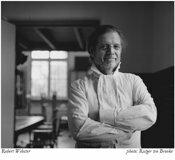 During the opening of his exhibition in 2011 in the Jan van der Togt Museum in Amstelveen he relives his time in Warsaw and in 2015 he returned to the city in search of his former sources of inspiration. In the film he tries to get the audience to see things from his perspective. He shows what he saw in Warsaw in 1967/69. The reason why the city of Warsaw looked like it was, the atmosphere in the communist period, and how he has interpreted this as an artist in paintings, prints and drawings he has made in subsequent years (1967-2013)." Directed and script Robert Webster, Director of Photography Robert Webster  assisted by Mathilde Steenbeek. Editor David Weir.